The National Retail Federation’s (NRF) Big Show hosted over 30,000 attendees January 13-15 at New York City’s Jacob Javits Convention Center. 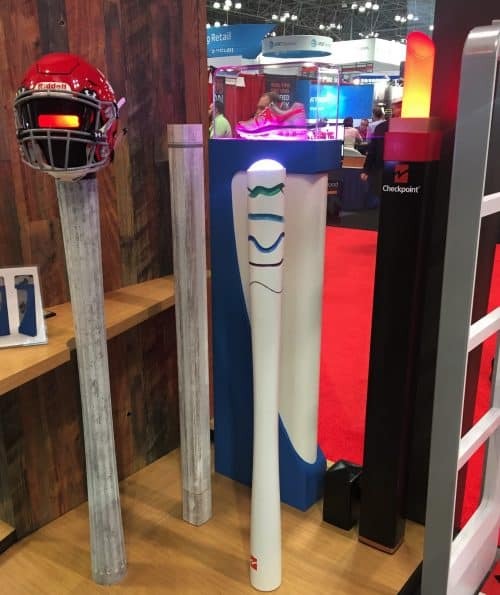 Technology was the centerpiece of the expo hall, where giant companies and start-ups alike demonstrated solutions to the many challenges facing the rapidly evolving state of omni-channel retailing. The same sentiment was expressed by Hedgie Bartol, LPQ, of Axis; Cheryl Blake at Verisk Retail, and Guy Yehiav with Profitect. Zebra Technologies is an example of a large exhibitor showcasing solutions that address everything throughout the retail enterprise from supply chain to inventory control to associate management to customer service. Zebra Technology exhibited a digital locker system for secure merchandise pick-up by customers. Another example is Sensormatic—the new brand replacing Tyco Retail Solutions. Their booth featured demos of a wide variety of applications available to retailers. One example was a self-return kiosk that allows customers to return items without assistance from store associates. 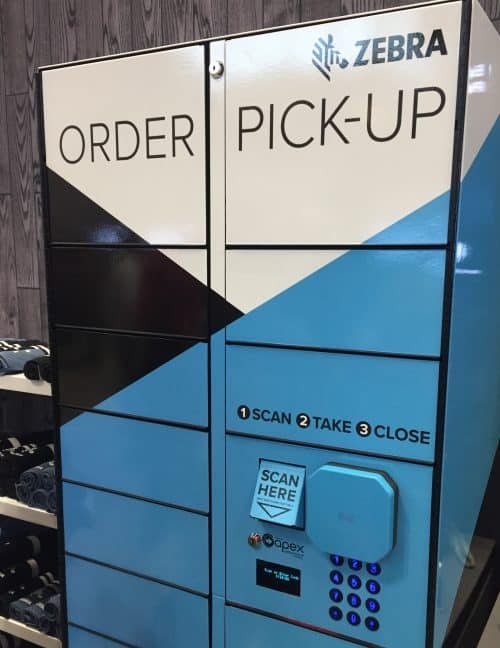 Sensormatic debuted a self-return kiosk that allows customers to make returns without assistance from store associates. 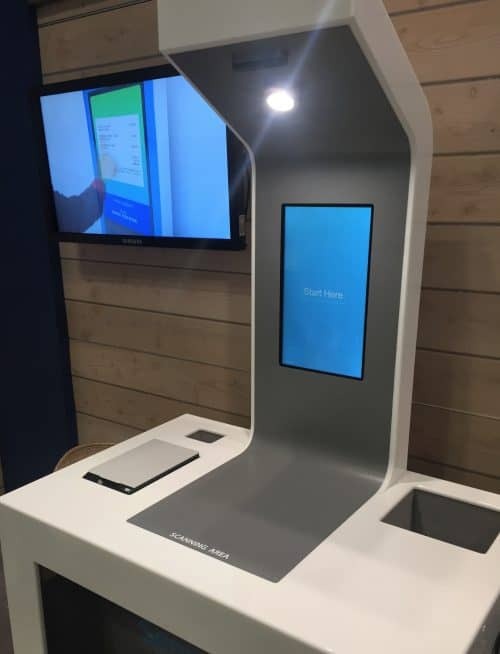 Next-generation self-checkout systems were demonstrated at a number of exhibits, including Checkpoint, that allow for mobile scan-and-go, verification of items, and solutions for identifying and removing EAS tags. Checkpoint’s design-winning EAS pedestals can be customized to match store environments. BJ’s Chris Baldwin, who also serves at NRF’s chairman, shared statistics about the impact of retail overall on the nation’s economy. The industry supports one in four jobs in the US (42 million workers) and contributes $2.6 trillion to the country’s GDP. In 2018, there were 2,000 net new store openings in 2018, and NRF expects 2018 retail sales to increase at least 4.5 percent over 2017. 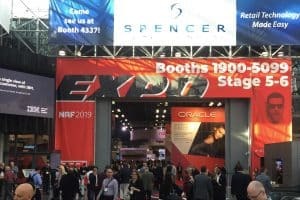 Next year’s NRF Big Show will be held January 12-14, 2020.